Pernaton gel is made from a natural source of unique nourishing and regenerative substances from the sea, manufactured in accordance to strict quality standards. It contains original Green Lipped Mussel extract (Perna extract) with essential chondroprotective GAG (Glycosaminoglycans) , natural properties found in the connective tissues, ligaments and joint cartilage within the body. 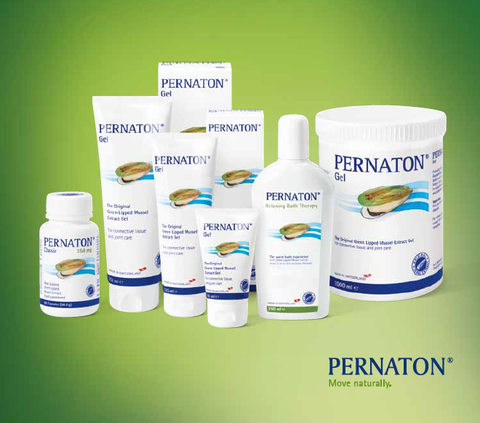 Pernaton gel is specially formulated to aid connective tissue and joint care. Pernaton gel is 100% made and imported from Switzerland.